DKSH, the leading Market Expansion Services provider with a focus on Asia, has opened a new depot for Business Units Consumer Goods and Healthcare in Lashio, Myanmar. This new opening will further strengthen the company’s capillary distribution network in South East Asia. Lashio, Myanmar, August 21, 2018 – DKSH Myanmar is strengthening its presence in Myanmar by opening a 460 square meter depot, which will be used for its Business Units Consumer Goods and Healthcare. The new depot adheres to the standards for storage, product handling and safety. Using separate temperature-controlled storage spaces for healthcare products and processes to ensure proper and safe handling of the products. The Lashio depot will be connected to DKSH’s global SAP platform and enable DKSH’s modern fleet to deliver products to consumers in Lashio. 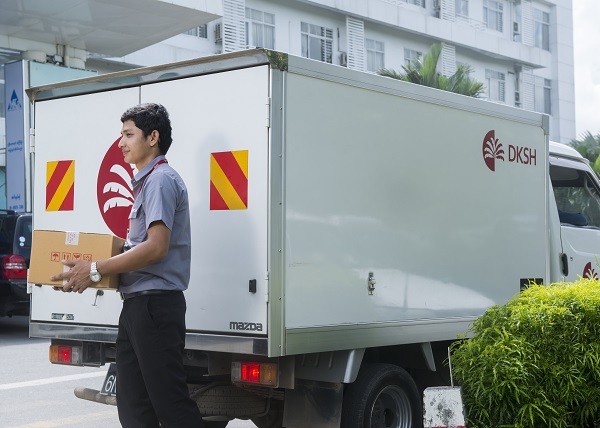 The new facilities strengthen DKSH’s capillary distribution network in Myanmar and contribute to the Group’s reputation as the leading Market Expansion Services provider with focus on Asia. DKSH Myanmar is the leading provider of Market Expansion Services in Myanmar. Operating in Myanmar since 1996, we provide clients and customers integrated and tailor-made services along the entire value chain, from sourcing, marketing and sales, distribution and logistics to and after-sales and support services. With more than 2,710 employees, DKSH Myanmar provides business partners with a wide range of knowledge and experience, combined with deep industry expertise in the specialized Business Units of Consumer Goods, Healthcare, Performance Materials and Technology. The company has strong connections throughout the country from the head office in Yangon and branches in Mandalay, Taunggyi, Lashio and Mawlamyine.